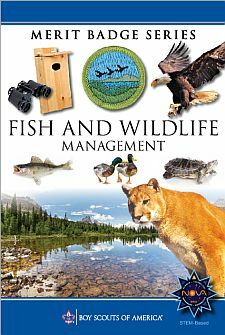 Start a scrapbook of North American fish and wildlife. Insert markers to divide the book into separate parts for mammals, birds, reptiles, amphibians, and fish. Collect articles on such subjects as life histories, habitat, behavior, and feeding habits on all of the five categories and place them in your notebook accordingly. Articles and pictures may be taken from newspapers or science, nature, and outdoor magazines, or from other sources including the internet (with your parent's permission). Enter at least five articles on mammals, five on birds, five on reptiles, five on amphibians, and five on fish. Put each animal on a separate sheet in alphabetical order. Include pictures whenever possible.